Wanting something hot to eat rather than yet another boring sandwich from the local coop for lunch one day last week I popped into Kimchee ToGo on The Strand. Kimchee specialise in Korean food which up until the last couple of years has been relatively unknown of in the UK. 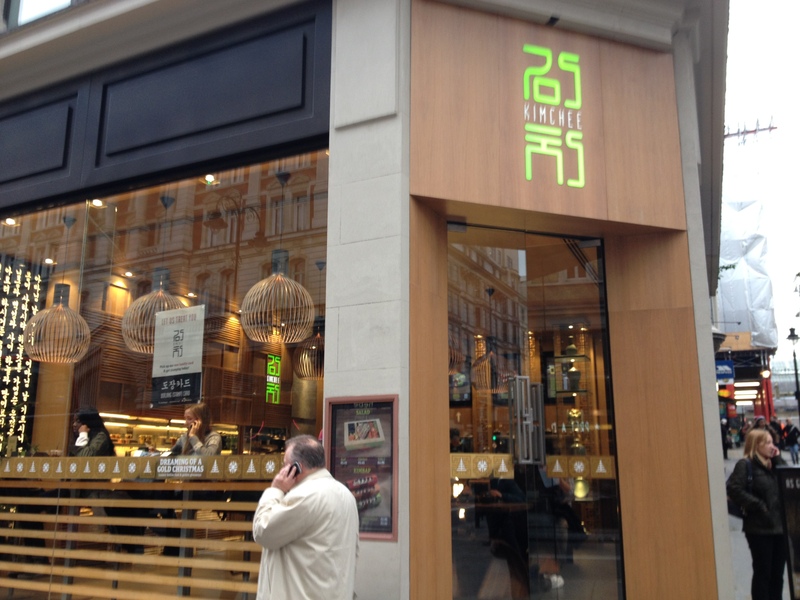 Their flagship restaurant in Holburn opened back in 2011 and this little gem opened just a few months ago in April serving quick and healthy take away Korean dishes. Such as their signature namesake Kimchee, Bibimbaps, Korean Kimbap rolls, Dosirak , soups and salads. 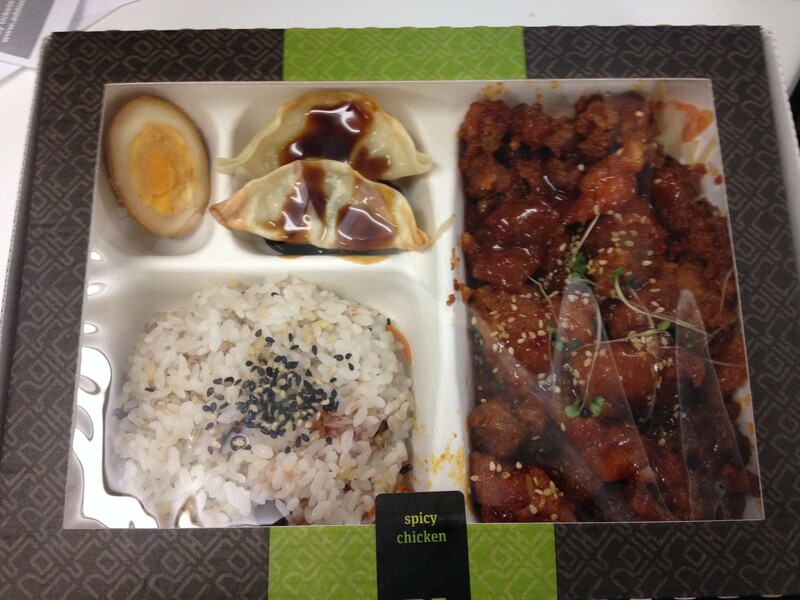 Never having had Korean food before I opted for the spicy chicken Dosirak which came beautifully presented in a bento-style box containing a large portion of spicy chicken, a side of rice, two gyoza and half a boiled egg. Back at my desk I opened my box of delights and tucked in. The spicy chicken was, well, spicy! The dumplings were a tad glutinous as they had begun to cool, in fact most of the meal was colder than I would have liked it to be probably from sitting in a heated area for a while rather than being prepared fresh for me. The boiled egg was a touch random. It made a nice change from my usual lunch but at £6.95 it’s not something I’ll be indulging in often although it’s definitely somewhere to check out if you’ve never had Korean food and are feeling a bit daunted about it.